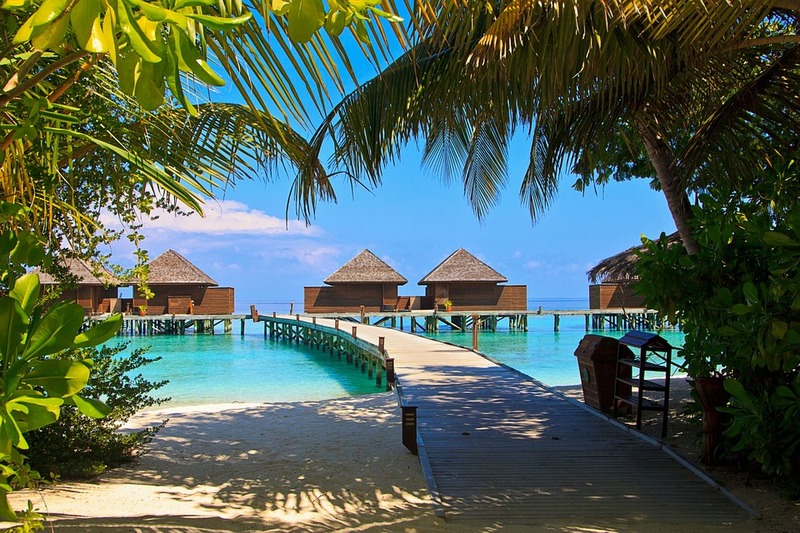 The Maldives – just the name conjures up images of white sand beaches, turquoise blue waters that stretch on for as far as the eye can see and decadent coconut drinks, all enjoyed simultaneously as you kick back on the vacation of a lifetime. Sounds pretty fantastic, doesn’t it? But aside from beaches, what else is there to do in the Maldives? A surprising amount you will be excited to know! Here is a roundup of some of the island’s most favourite, famous and enjoyable activities and excursions that will have you beaming from ear to ear as you while away your days in this exotic island locale. We can almost guarantee that after reading this you will be rushing off to book your ultimate Maldives holiday. 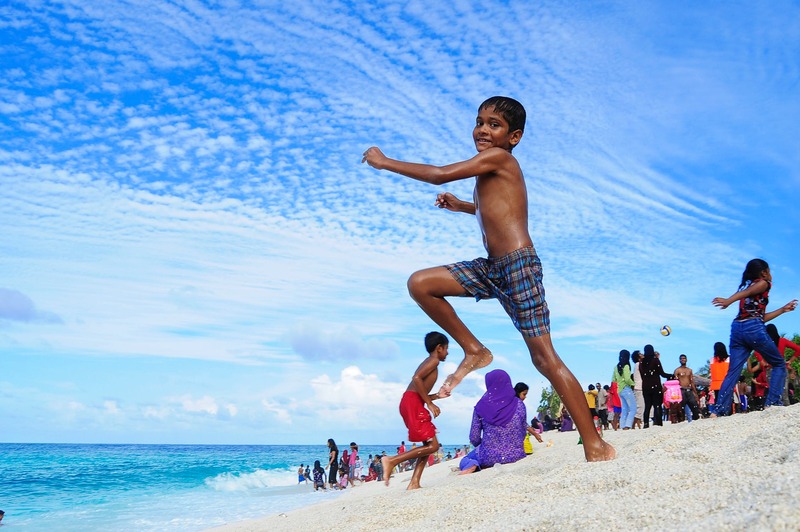 This one probably goes without saying, but beaches are probably the biggest draw as to why people come from around the world to visit the Maldives. With stretches of white sand beaches that seem to go on for miles coupled with the seclusion that some of the country’s most remote islands provide it’s no wonder that this is one of the most ideal locations for honeymooners looking to get away for some alone time. 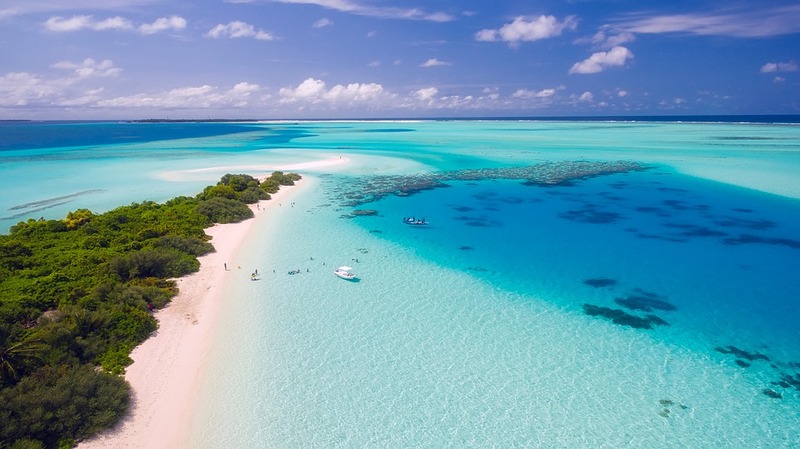 The beaches all across the Maldives offer both white sand and turquoise seas, almost reminiscent of those images conjured up by such classic tales as ‘Treasure Island’. One of the most popular activities for visitors to any of the islands in the Maldives is to arrange a private picnic on one of these secluded beaches, usually available from your hotel if you ask. Aside from picnics, the beaches in the Maldives are generally ideal for just kicking back with a good book and sunbathing with the occasional dip in the beautiful waters of the Indian Ocean to cool off. Nothing quite beats the feel and experience of taking a traditional Maldivian boat, known as a Dhoni, on a sunset cruise over the open Indian Ocean. Watch as the turquoise of the waters and the white of the sand give way to twilight shades of oranges purples and deep hues of pink. If you’re lucky, you may catch the sight of a pod of dolphins swimming alongside your boat. Some cruises may come with dinner options, so check ahead to see what suits you and your budget best. This is ultimately one of the most luxurious and enjoyable experiences you can have in the Maldives – just you and the open waters as the day gives way to the shades of night. If boats are really your thing, you can also get away and out on the water with fishing trips to try your hand at a little deep sea fishing. This enjoyable sport will see you possibly landing some great catches including tuna, wahoo, sailfish and barracudas. Oftentimes you will get to barbecue up your catch with the fishermen once back on shore for a truly enjoyable experience. Nothing quite beats whiling away the hours on the deck of a beautiful boat out on the Indian Ocean with like minded people all hoping for a taste of the fish that call these pristine waters home. Snacks, drinks and the like are normally included in the price of a fishing trip and most can be arranged through your hotel. Beaches mean diving and snorkelling and often the two go hand in hand. Even if you aren’t a diver you can often catch a ride on diving boats to dive sites to snorkel at with a slew of divers looking for adventure. Qualified divers will find that the Maldives have a huge array of underwater delights to see and experience including turtles, moray eels and even shipwrecks. Yes, shipwrecks! There are a number of wrecks that you can dive that are found at a variety of depths so if you want to experience all of the wrecks you should be qualified to descend to around forty to fifty metres for best results, with most wrecks being at a depth of around twenty metres plus. The Maldives Victory and Kuda Giri are two wrecks that are located off the Male atoll and have good coral with decent fish life. For better fish life, check out the wrecks of the Liffey and Utheemu 1 and 2 off the coast of Kudahuvadhoo Island. Not qualified? No problem. Many dive centres and resorts can take you on fun or introduction dives which means you have a qualified instructor/guide with you the whole time to check up on you and ensure you’re safe, so you just have to sit back, relax and watch the imagery float on by. 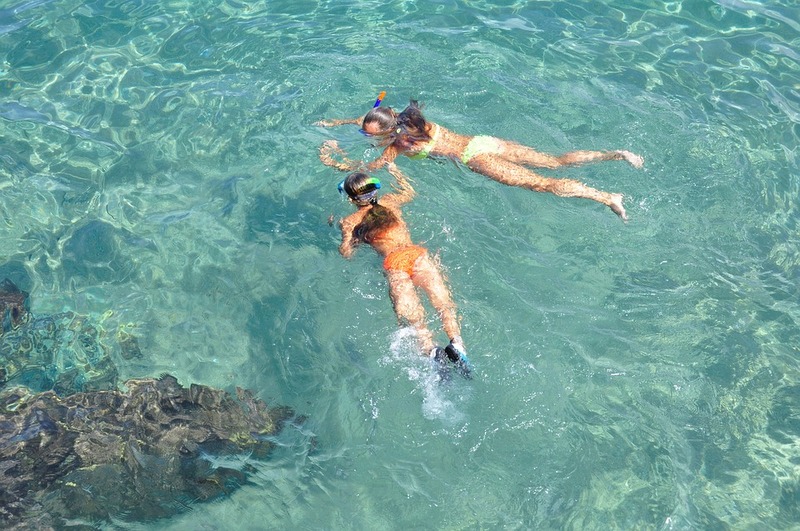 Snorkelling on the other hand is an easy activity even the kids can do if you’re travelling with family. All you need is snorkel equipment in the form of a mask and breather and away you go. Some people use fins but they aren’t necessary. In many cases you can rent this equipment from your hotel for a nominal fee for day use (or longer) or some may provide it free of charge on snorkelling trips and the like. Snorkelling is a great way to explore the reefs and marine life without needing to get deeper in the water on a dive or feeling pressured to get qualified just to enjoy the things the sea has to offer. As a general rule of thumb, the Banana Reef in the North Male Atoll is one of the best reefs for beginner divers as well as snorkelers of all levels. It’s rich with sea life and corals and is just an all around great spot for those who want a lazy snorkel with lots to see. Even if you’re on a luxury holiday at one of the Maldivian prestigious resorts it can be a great opportunity to get off the resort for awhile and explore the real life side of this unique, beautiful and welcoming island chain. There are a number of so-called “home islands” or “local islands”. It’s on these islands you will find the real heart beat of the country, set amid working towns and villages with real people who make this place their home. It’s in these places you will find great dining opportunities to try dishes of all kinds from breakfast to dinner and beyond. Dance the night away to the Boduberu – a traditional local musical experience that can be found in amongst those who live here. So if you’re looking for the ultimate island experience with lots to take in amid luxury resorts offering everything from boating trips to fishing, beach picnics to spa days, you can rest assured that you will have the experience of a lifetime exploring this gorgeous part of the world for whatever reason brings you here be it a family vacation, a couples getaway or a honeymoon. Cruise Around The World In Style – And We Don’t Mean With Cars! It’s coming up to autumn now and the summer is fast heading out the door for another year, leaving most people feeling somewhat melancholy as the colder weather starts to set in. Autumn may seem like the time to hunker down and get ready for winter, but your summer fun doesn’t have to stop now. In fact, for singletons or couples this is the perfect time to get out and explore the world on holidays or cruises when all the students, young and old, are back in class! Read ahead for the top types of holidays to book now, before summer is truly gone! It’s no secret that cruises continue to be a top type of holiday many people seek out, and for good reason. Cruises are the best way to see a number of places quickly and in serious comfort. If you have never been on board a cruise liner, you’re seriously missing out, especially if you’re a fan of the finer things. A cruise around the world will take you from port to port in a number of exotic locations all in comfort and style with world class entertainment every night and usually full board meals provided in the overall price of the trip. What could be better than checking out some of the world’s most famous locales aboard a world class liner with access to spas, shops, theatres, luxury dining experiences and more? There are large numbers of last minute beach holidays available for people who just want to get away and don’t really mind where. These can be incredibly budget friendly with many featuring all inclusive themes with airfare, transfers, hotels and food included, but not always to the most exotic of locales! From Europe mainly Mediterranean islands are featured but city breaks are also popular, particularly to eastern and northern Europe, depending on what you want to do and experience. For truly cheap options, last minute deals can be booked for very low prices if you don’t care where you go and are taking only hand luggage. If you really want to push the boat out, you can head out of your comfort zone and trek off to somewhere wild and wonderful. Going on safaris or treks to the Himalayas or Macchu Pichu are becoming more widely available as well as affordable for many, so are increasing in popularity. With more discount flights flying to connecting cities to wild and wonderful places as well, it’s never been easier to head out on a real adventure for your autumn getaway to make memories that will last a lifetime doing something truly unique and awe inspiring! There you have a couple of great getaway ideas for all levels of adventurer and fitness. Whether you’re climbing mountains, relaxing on the beach or enjoying a show aboard a luxury cruise liner, autumn is a great time to get away for many. With lower prices in the off season and less people hitting the road, you will find prices to be cheaper for many things and less crowds equating to a win-win situation for everyone! So pack those bags – the world won’t explore itself!